European and African governments must re-commit to keeping their borders open for refugees and asylum seekers, with adequate, rights-based protection also for children and others who are vulnerable on the move. It is time for much more serious cooperation between the regions, not on more of the enforcement, controls and returns-centered policies that have consistently failed, but on addressing root causes of forced migration and strengthening protection of those forced to migrate, the Norwegian Refugee Council and International Catholic Migration Commission in Valletta said today. Efforts to manage migration, which some 50 heads of state are discussing at the Valletta Summit, should first and foremost respect states’ legal obligations to protect those fleeing persecution, conflict, man-made and natural disasters. It is also critical that the EU faces its responsibilities instead of transferring them to third countries and refrains from further externalizing its border management and asylum processes. 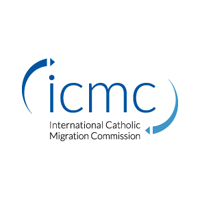 Externalization tends to considerably increase risks for asylum seekers and migrants, NRC and ICMC said. NRC and ICMC, together with the MADE Africa network, have led the work on a joint European-African civil society statement for the Valletta Summit which urges European and African leaders to “focus first on human rights, decency, dignity, well-being and welcoming of people in need.” In countries of origin, new cooperation is needed to promote alternatives and solutions for forced migration, including policies and programs for sustainable development, decent work, and improved governance that address the root causes that drive so many people to migrate, the statement said. While great attention is currently focused on Syrians and others fleeing conflict in the Middle East and Asia, humanitarian crises in many African countries are also of great concern, NRC and ICMC stressed. So far this year, 5% of the 788.000 people who have arrived in Europe are Eritreans, many of them minors. 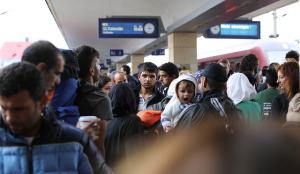 Only Syrians, Afghans and Iraqis have arrived in Europe this year on a bigger scale. So far this year, 3,440 people have perished in the Mediterranean in failed attempts to reach Europe—many of them refugees, children and others with indisputable rights to protection. For survivors, however, protection is far from automatic. Even for refugees, personal circumstances or traumatic experiences can impair their ability to apply for international protection. It is therefore important to ensure that the rights and specific needs of all vulnerable groups are taken into consideration in all migration policies. Across Africa, millions of refugees are caught in situations of protracted displacement – the average duration of which is 17 years – and their numbers are on the rise. As a result, host communities are overwhelmed and refugees need to transition from aid dependency towards increased resilience, self-reliance and development. Ensuring refugees’ access to livelihood opportunities and basic services, including education, is critical, NRC and ICMC said. The needs of host communities must also be met to promote social cohesion.At the same time, supporting protection in Africa should not relieve European States of their obligation to protect refugees that arrive on their territories. The Valletta Summit is organized by the European Council. It seeks increased cooperation between European and African governments in managing inter-regional migration phenomena around five specific areas: root causes; legal migration channels; protection needs; tackling exploitation and trafficking of migrants; and return.